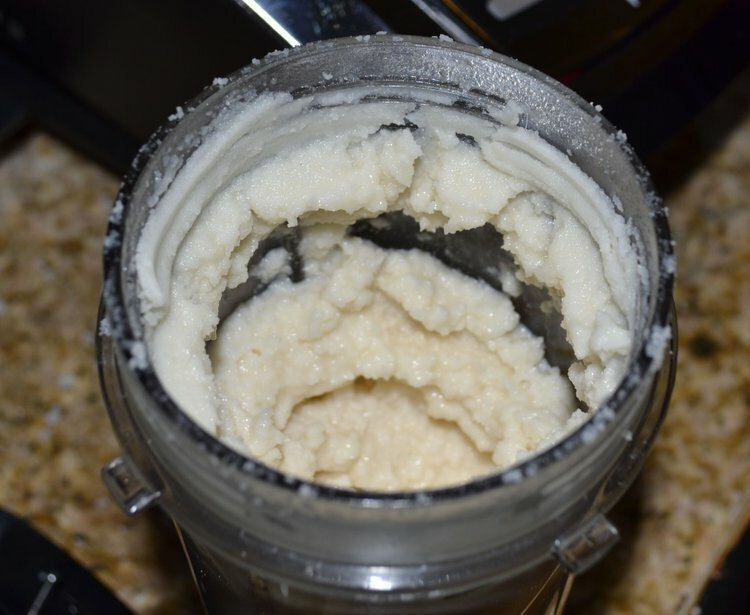 Coconut butter should not be refrigerated, and it keeps for around 2-3 years. In storage, the oil tends to separate and rise to the top. With healthy eating on the rise, there is a growing awareness about healthier fat substitutes. Coconut butter is made out of coconut meat, also called “copra”. It is distinct from coconut oil, although some manufacturers are seen to use these two terms interchangeably. Cooled coconut oil appears to develop the consistency of butter. Coconut butter is usually expected to contain pieces of coconut meat. Coconut butter is an ingredient in various dishes, and it can serve as a beauty-enhancing product as well. It is made by blending pieces of dried coconut meat in a food processor for around 20-30 minutes, until the consistency of the mixture becomes smooth and creamy. Coconut butter should not be refrigerated, and it keeps for around 2-3 years. In storage, the oil tends to separate and rise to the top. It is easy to digest: Coconut butter does not need the action of bile for digestion due to its composition of medium-chain triglycerides. It is easily absorbed through the wall of the small intestine and is directly transported to the liver. Once it reaches the liver, it is immediately used as a fuel. Often, hospital nutrient mixtures for bedridden patients, who are dependent on intravenous fluid nutrition, contain coconut butter. It has antifungal, antibacterial, and antiviral properties: As per Dr. Mary Enig, a prominent researcher in the area of fats, approximately 50% of the fats in coconut butter are lauric acid. This is converted into monolaurin in the human body. Monolaurin has antiviral, antiprotozoal, and antibacterial effects and is used to destroy lipid-coated viruses such as herpes, HIV, influenza, and cytomegalovirus. It is also known to destroy pathogenic bacteria, such as Helicobacter pylori and Listeria monocytogenes, and parasitic protozoa like Giardia lamblia. Free lauric acid appears to have antimicrobial and antifungal effects as well. It helps one lose weight: The body prefers to burn medium-chain triglycerides instead of storing them. In other words, the body treats coconut butter like carbohydrates, but there is no involvement of insulin here. Thus, it is a good choice for individuals looking for weight loss. It is also known to mildly promote thermogenesis. Medium-chain fatty acids also protect the body’s store of proteins in lean tissue when a low-calorie and low-carbohydrate diet is consumed. It raises the “good” cholesterol levels: It increases the level of HDL cholesterol in the body and has slightly fewer calories than most vegetable oils. It prevents heart disease: It has been found that populations that consume large amounts of coconut and coconut-based products have lower rates of heart disease (such as in India and Sri Lanka), per the Coconut Research Center. Health-conscious people should definitely give coconut butter and other coconut products a try. Available at health food stores, coconut butter is a gift from nature that has only recently been recognized for its outstanding health-enhancing properties. Enig, M. G. (1999, September). Coconut: in support of good health in the 21st century. In 36th meeting of APCC. Cox, C., Sutherland, W., Mann, J., De Jong, S., Chisholm, A., & Skeaff, M. (1998). Effects of dietary coconut oil, butter and safflower oil on plasma lipids, lipoproteins and lathosterol levels. European journal of clinical nutrition, 52(9), 650-654. Feranil, A. B., Duazo, P. L., Kuzawa, C. W., & Adair, L. S. (2011). Coconut oil predicts a beneficial lipid profile in pre-menopausal women in the Philippines.Asia Pacific journal of clinical nutrition, 20(2), 190. Kim, B. D. (2002). Preparation and characterization of solid lipid nanoparticle (SLN) made from coconut butter stabilized curdlan (Doctoral dissertation, MS Thesis, Dept. of Pharmacy, Chosun University, Kwangju). Grisingha, S. N. (1991). Production of coconut butter.